To kick off the first-ever Cornish Pasty Week (25th February – 3rd March 2018), the Cornish Pasty Association, the trade association behind this initiative, will be taking the Cornish pasty to the capital. Follow the travels of Mr & Mrs Pasty, who via the sleeper service, courtesy of GWR, will arrive in the early hours of the morning in London Paddington station on Monday 26th February. They will also be encouraging Londoners to take part in Cornish Pasty Week by asking them to #pastysmile – the ambition is that the public will post selfies, whilst holding their favourite meal – the traditional Cornish pasty. The Cornish Pasty Association would love to see Cornish pasty smiles across the length and breadth of the British Isles and especially with photos that include well-known landmarks. 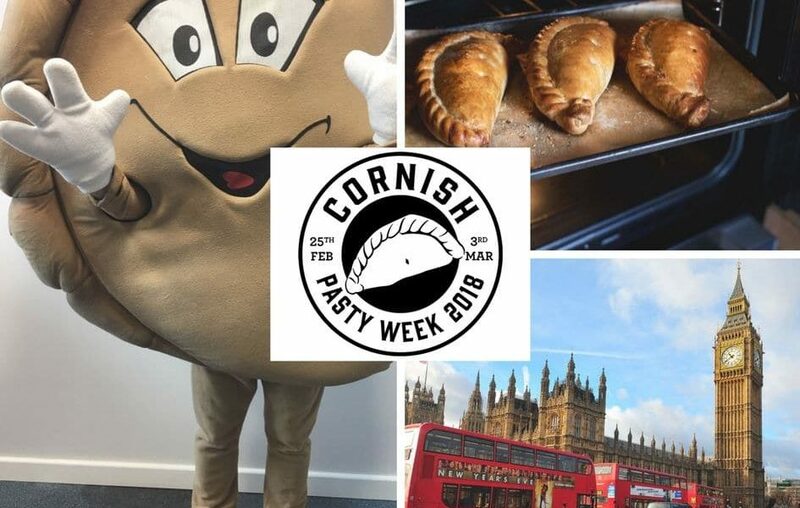 Make sure you follow all the highlights of the week on Facebook @cornishpastyassociation or Twitter @Cornishpasties1 for the latest updates, news, promotions, events and activities, culminating at the World Pasty Championships on the 3rd March at the Eden Project.